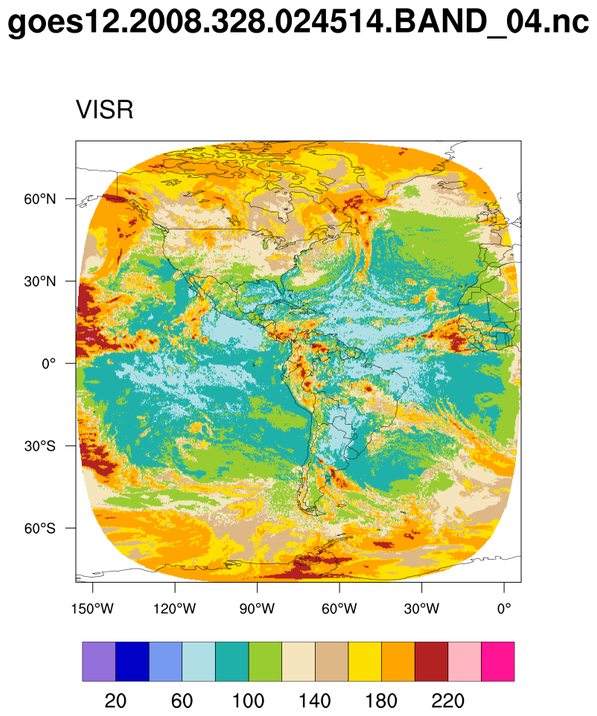 The National Weather Service (NWS) uses the GOES system for its United States weather monitoring and forecasting operations, and scientific researchers use the data to better understand land, atmosphere, ocean, and climate interactions. The GOES system uses geosynchronous satellites which—since the launch of SMS-1 in 1974—have been a basic element of U.S. weather monitoring and forecasting. 2) GOES-13 is designated GOES-East, currently located at 75°W. It provides most of the U.S. weather information. In 12/2017 GOES-13 will be placed in a storage (graveyard) orbit at 60 degrees west longitude. until December 2009 and then was placed in on-orbit storage at 105° W.
4) GOES 15 is designated GOES-West, currently located at 135°W over the Pacific Ocean. 5) GOES 16 replaces GOES-13 (12/2017) and is designated GOES-East (75.2°W). 6) GOES-17 will be designated GOES-S upon reaching geostationary orbit. FYI: The GOES-East position was chosen primarily because it offers full coverage of the continental United States and provides optimal viewing of the states and cities in the plains, mid-west and east most impacted by severe weather events including Atlantic Hurricanes, thunderstorms and tornadoes, major winter storms, and flooding. 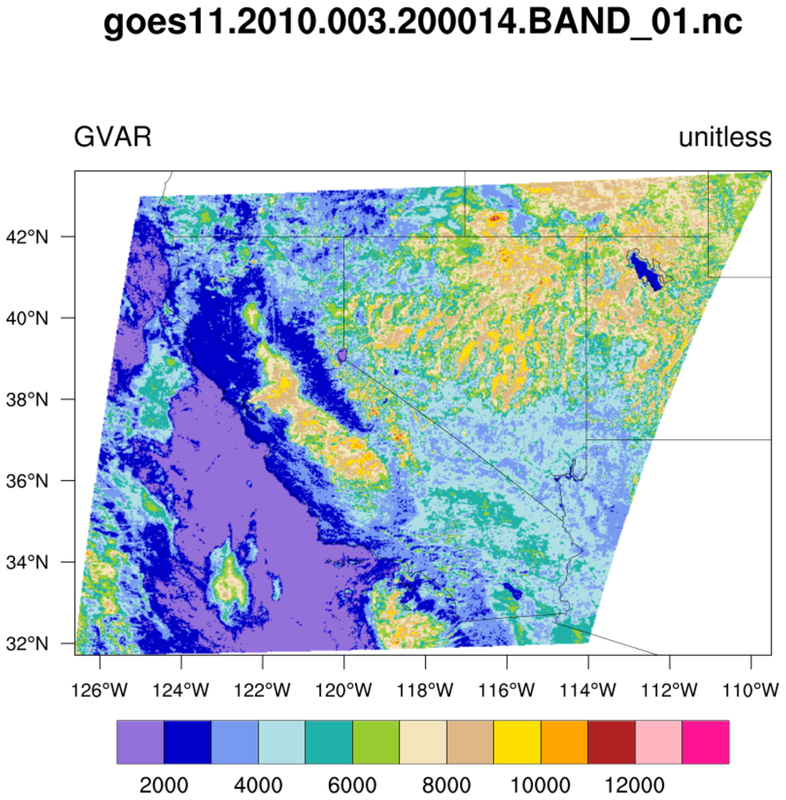 goes_1.ncl: Plotting data from GOES-11. 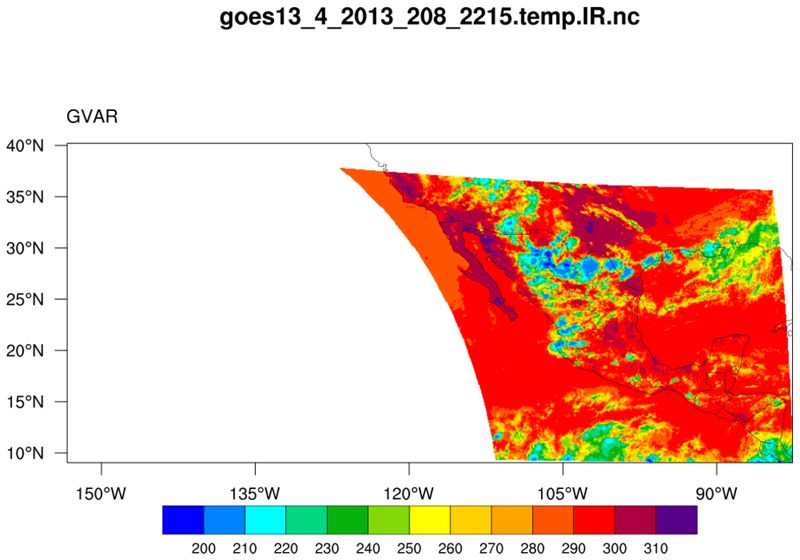 goes_2.ncl: A GOES-12 plot. The script handles bogus values by assigning outliers to an _FillValue attribute. Since the lat/lon have missing values, you must set res@trGridType to "TriangularMesh". 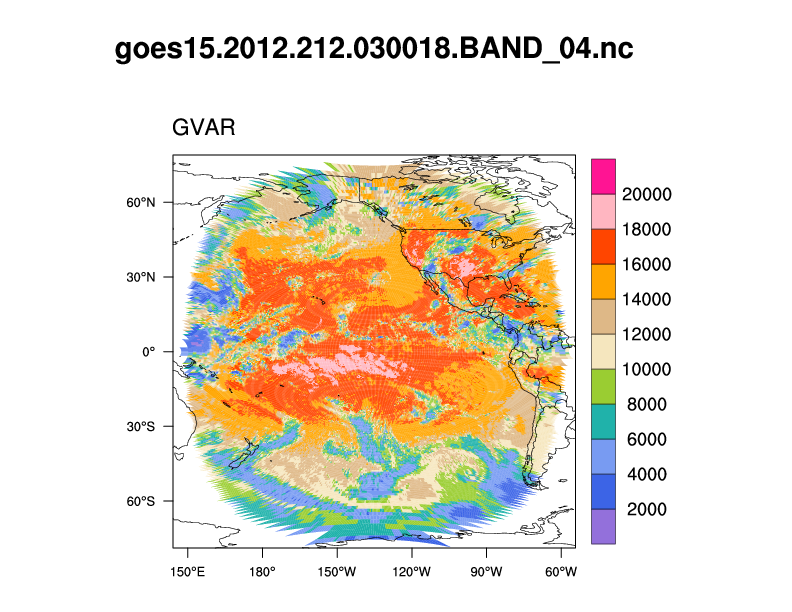 goes_3.ncl: Plotting data from GOES-15t. 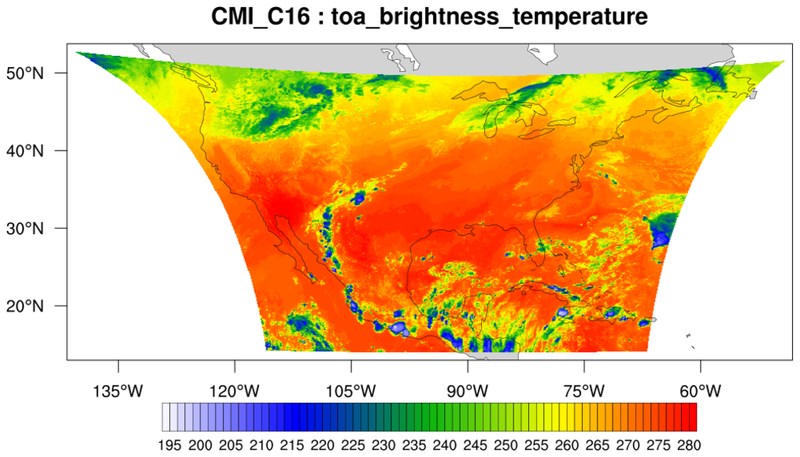 The lat/lon data has the same issues as the GOES-12 plot above. Additionally, the longitude values cross the dateline, so we fix these values by adding 360. Finally, to speed up plotting, we only plot every 10th value. 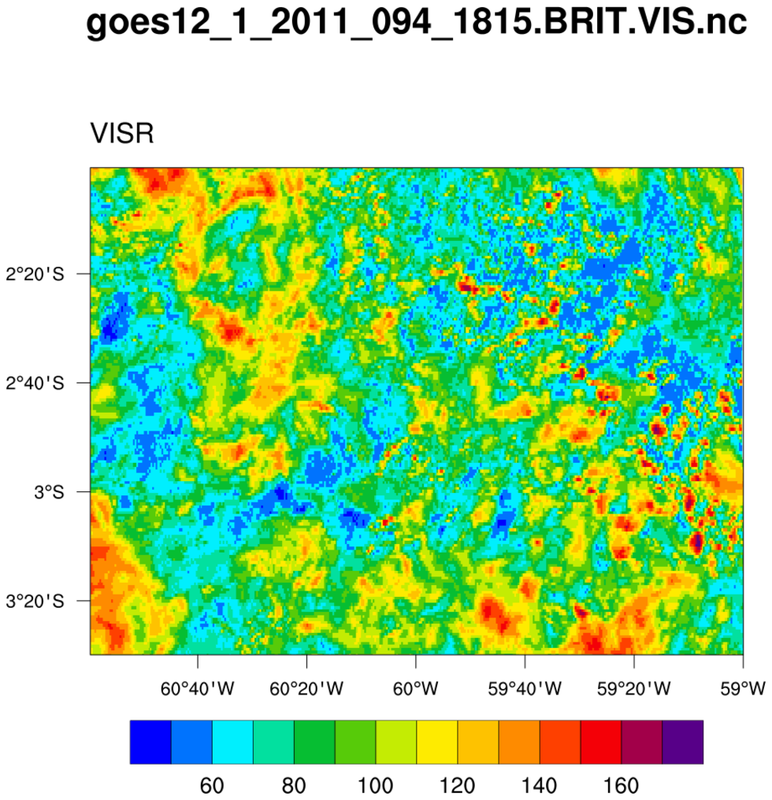 goes_4.ncl: Another GOES-12 plot for a very small region. goes_5.ncl: Plotting data from GOES-13. goes_6.ncl: Plotting data from GOES-16. This script requires goesYXtoLatLon.ncl, which contains the function for calculating lat/lon values. As with previous GOES data, the lat/lon can contain missing values, so you must plot this data setting res@trGridType to "TriangularMesh".